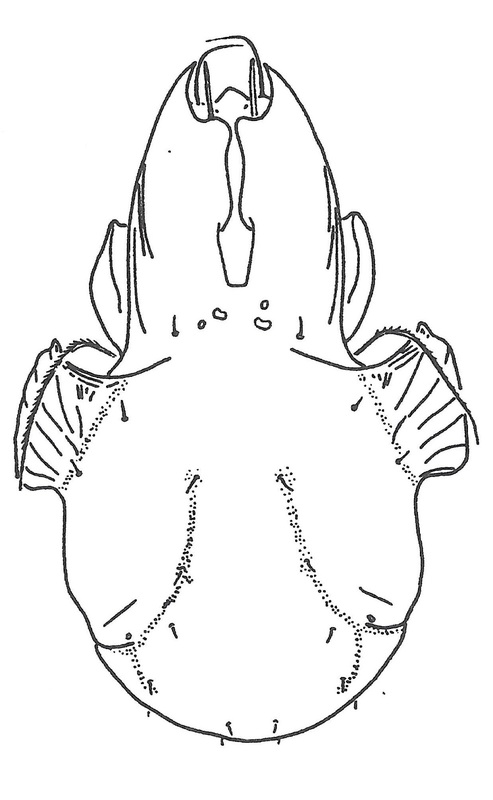 Dorsal view of Microzetes pyrenaicus, from Balogh & Balogh (1992 vol. 2). The type subgenus of the genus Microzetes is a group of microzetid oribatid mites found primarily in southern Europe (Subías 2004). Characters (from Balogh & Balogh 1992): Chelicerae with small corniculi. Lamellar setae straight, bacilliform, short; interlamellar area triangular; interlamellar setae short, hardly discernible, originating on lamellae proper; sensillus directed backward, filiform, ciliate. 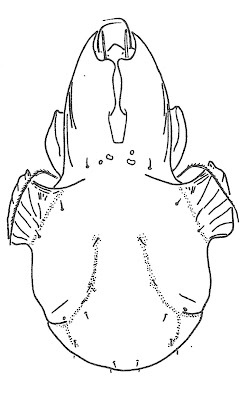 Pteromorphae immovable, long. Apodemata IV thickened.